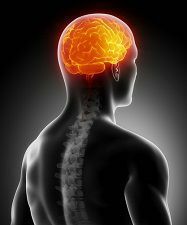 Traumatic Brain Injuries From Motorcycle Accidents | Hupy and Abraham, S.C. The time immediately following a motorcycle crash is not the time to brush yourself off and try to handle your injuries on your own. Quick access to proper medical care is vital to prevent a traumatic brain injury from becoming permanent brain damage. Accordingly, all riders should be aware of the symptoms of brain injuries and the complications of brain injuries, and they should seek immediate medical care after any accident that involves a head injury. Hits his head on the ground. Hits another object during the crash. Sometimes, however, serious brain injuries are suffered and there are no symptoms. For this reason, it is always important to seek medical attention following a motorcycle crash. Altered consciousness. A coma or vegetative state could result. Seizures. These can also be long-lasting and recurring. Infections. When the skull is fractured or penetrated, bacteria can cause serious brain infections. Damage to the cranial nerves. When the base of the skull is injured, the nerves there can cause problems with vision or the paralysis of facial muscles. Vision loss. An estimated 20 to 40 percent of brain injury sufferers experience some sort of vision impairment. Some of these vision problems can be temporary and others long-term, depending on the injury. Cognitive complications. Problems with memory, learning, judgment, concentration, making decisions and other cognitive functions are common. Problems with communication. Both spoken and written language skills can be disrupted. Emotional and behavioral changes. Changes in the way victims feel and in the way they control their behavior are common. Issues may include anger, frustration, depression, and anxiety. Problems involving the senses. Trouble with ringing in the ears, hand-eye coordination, and balance are examples of this type of complication. A higher risk of developing degenerative brain diseases. People who have suffered brain injuries may be at an increased risk of developing diseases like Alzheimer’s disease, Parkinson’s disease, and dementia. Just one of these complications can be physically, emotionally, and financially devastating. Brain injury recoveries often require expensive medical treatments and lots of time to rest. You may be unable to work during this time and your medical bills may pile up. Additionally, you may never fully recover. If someone else’s negligence resulted in your brain injury or the death of your loved one, then you may have the right to recover compensation for your past, current, and future medical expenses, lost income, out-of-pocket costs, pain, suffering, and other damages. However, your time to file a claim and to pursue a recovery is limited. Please contact an experienced motorcycle accident lawyer today to learn more about your rights. Should I Call a Motorcycle Accident Lawyer If I Suffered a Head Injury in a Crash and I Wasn’t Wearing a Helmet?